David J. Lieberman understands that a change in perspective is all that is needed to help keep from flying off the handle. 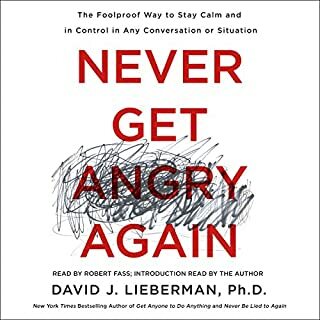 In Never Get Angry Again, he reveals how to see anger through a comprehensive, holistic lens, illuminates the underlying emotional, spiritual, and physical components of anger, and gives listeners simple, practical tools to snuff out anger before it even occurs. Principles on how to lead an authentic life. Have you ever wished you could peer into someone's mind to find out what he or she is really thinking? Now you can...really. You Can Read Anyone explains, step-by-step, exactly how to tell what someone is thinking and feeling in real-life situations. It contains specific, proven psychological techniques that can be applied instantly to any person in just about any situation. 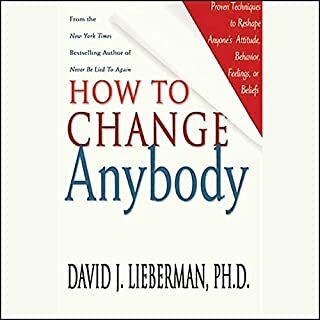 By: David J. Lieberman Ph.D.
Dr. David Leiberman, offers insights into the human condition and reveals how, regardless of the opportunities available to us today, a lack of self-control results in poor choices and ultimately leads to negative emotions and destructive habits. If God Were Your Therapist offers neither exercises or affirmations. Rather, listeners learn how to regain self-control and move their thoughts, choices, and lives in a purposeful, powerful direction, free from the shackles of anxiety and stress. Don't let crazy people drive you crazy. Don't let annoying, obnoxious, petty people get under your skin. Stop having to ask the same thing over and over again. Whether it's your kids, spouse, friend, client, patient, or co-worker, why try to "deal" with people when you can change them? 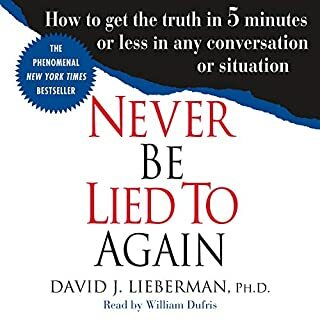 Finally, renowned behaviorist David J. Lieberman shows listeners how to stop the lies and uncover the truth - in any conversation or situation. 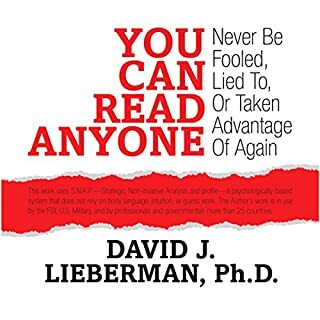 In a simple, user-friendly format, Dr. Lieberman gives you the tools to determine, with uncanny accuracy, if you are being lied to. The legendary leader in the field of human behavior delivers the national best-selling must-hear phenomenon that changed the rules. Utilizing the latest advancements in human behavior, Dr. Lieberman's critically acclaimed techniques show you step-by-step how to gain the clear advantage in every situation. Something else other than freedom of choice and the means to indulge our desires must govern our emotional health and wellbeing. Indeed, research confirms that human beings make consistently inaccurate prediction about what will make them happy. New York Times bestselling author, Dr. David J. Lieberman explores the secret to happiness; and shows listeners how they wake up happy each and every day, for the rest of their lives. Listen to The Science of Happiness now, and look forward to a happier tomorrow. We all say things we shouldn't. What is important is how we deal with the gaffe. If a slip-of-the-tongue at a family gathering, office meeting, or social setting causes you to inadvertently embarrass or offend someone, the strategy presented here, will help you to smooth things over as quickly as possible. But what about when you really mess up? 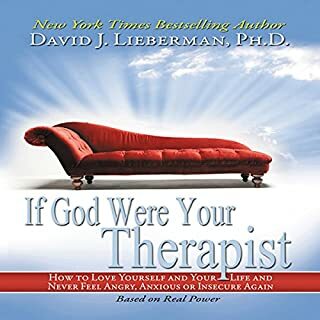 The New York Times bestselling author, Dr. David J. Lieberman, introduces a wonderful right-to-the-point mini audiobook that tells listeners how to put an end to boundary issues once and for all! What do you do when the person on the other end of your "No" flat out refuses to accept your "No"? You'll discover exactly what to say as well as learn the underlying psychology that motivates them to always ask, and you to always give in! Plus, you'll learn step-by-step what you can do about it. Do you have to worry about your co-worker, nanny, neighbor, or date? If you’re concerned about a new relationship, or even an old one, you will no longer need to rely on instincts, hunches, or horoscopes. Even when interaction is limited to mere observation or a brief exchange, whether you’re at a bar, restaurant, park, or even in an elevator, you can discover how to assess the general emotional stability of a person in just minutes. 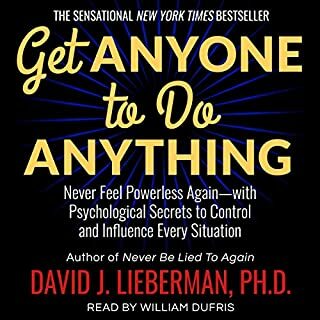 New York Times bestselling author, Dr. David J. Lieberman, introduces a wonderful right-to-the-point mini audio book that tells listeners how to end food cravings once and for all! Understanding how cravings seduce you into surrendering can help you to conquer them, maintain a healthy weight and improve your overall health. Most significantly, you can tip the scales in your favor, and harness the power of psychology and physiology to reprogram your brain, and to permanently counter your cravings. End Your Cravings and Lose Weight Without Stress! Whether it’s a simple two-hour desire to clean up the house, an ongoing work-out routine or a life-long pursuit to change the world, you can stay focused, excited and motivated to do anything at anytime - all of the time. This is the book that gives you the confidence to say this time will be different—and mean it. Read Endless Ambition now, and put that fire into you. Better than I was expecting! Over 40 years ago, Games People Play revolutionized our understanding of what really goes on during our most basic social interactions. More than five million copies later, Dr. Eric Berne's classic is as astonishing and revealing as it was on the day it was first published. We play games all the time---sexual games, marital games, power games with our bosses, and competitive games with our friends. In today's high-octane business world, you need all the advantages you can get. Success isn't just about making the right decisions or adopting smart strategies. Success also depends on knowing what's going on around you. As a business leader, imagine if you could almost always tell when people were lying to you, or if you could successfully persuade colleagues, workers, or bosses to always go along with your ideas. The truth is, you can. All you need is the right knowledge and the basic human powers of perception. When the stakes are this high, can you really afford not to have every tool at your disposal? 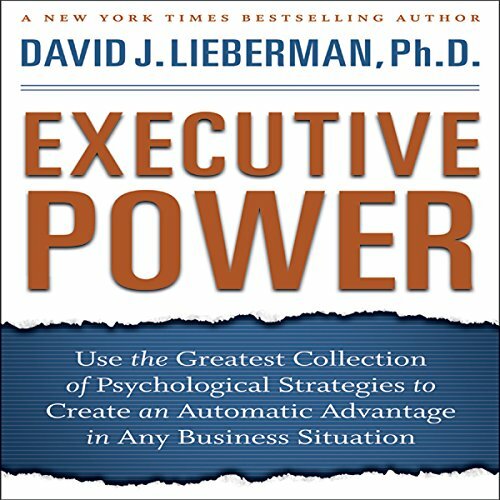 Executive Power gives you the ultimate tools for running your business. Please hire a professional to read the text next time you write a book, it's very irritating to have to listen to someone that has a poor reading voice for a whole book. i like it but i wish it was read a bit more slowly as sometimes the concepts are complex and need reflexion, anyway it is in my mind to re listen to it again. I DID love the voice so. What would have made Executive Power better? What could David J. Lieberman have done to make this a more enjoyable book for you? Hired a narrator and decent tech people and actually SAID something. Better production values and a trained narrator.